Light is not only technology but also culture, idea, creativity and emotion. Fersas philosophy is producing high-quality products, besides searching the light and bringing out a harmony between architectural functions and industrial designs. Fersa has a high opinion of esthetic, economy, efficiency and health while offering lighting solutions of places like banks, offices, shops, hotels, shopping malls, conference halls and hospitals. For these reasons, well-known architects mostly prefer to cooperate with Fersa. 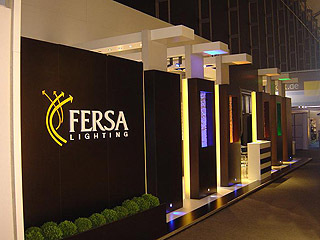 Hyatt Regency, Park Hyatt, Sheraton, W Hotel, Holiday Inn, Emporio Armani, Max Mara, Nautica, Citroen, BMW and Audi showrooms are some examples which are lightened by FERSA.